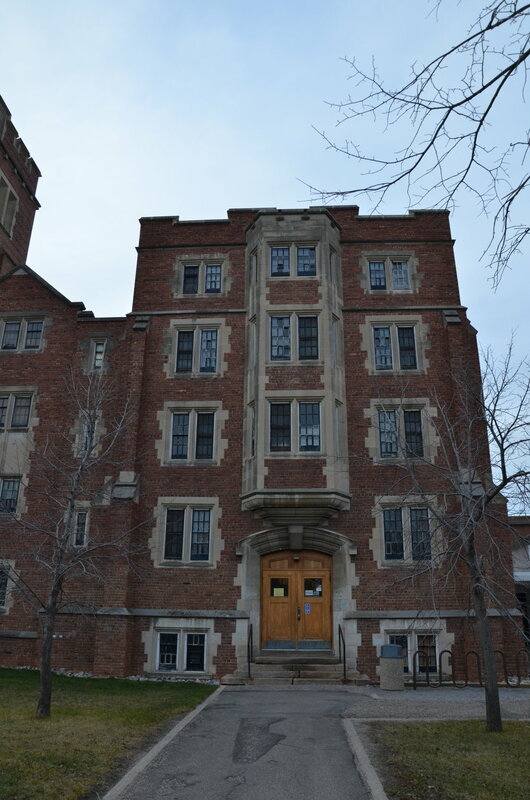 The University of Regina - College Avenue Campus - was built in 1914. Starting in 2016, Brxton began working on the U of R College Avenue Campus as well as the historic auditorium building of Darke Hall. College Avenue Campus and Darke Hall received the full Brxton treatment on the existing building as well as two brick and granite clad additions on the east and west sides of the original campus. The Masonry work performed was not just limited to the exterior of the building. Brxton also restored and rebuilt the heritage brick and limestone in the buildings feature atrium, west conservatory and replaced the existing slate in the east and west stairwells, main floor and front entrance. The entire building was repointed 100%. 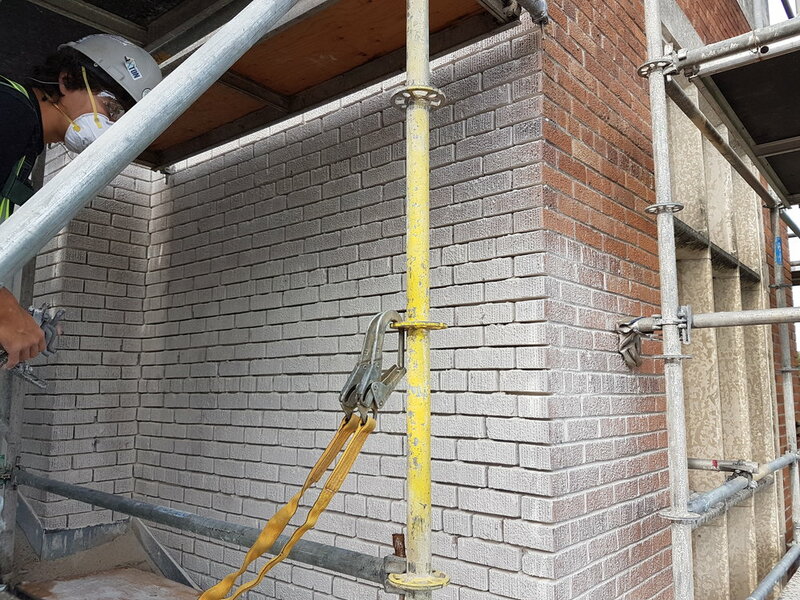 Our team carefully removed the mortar joints in the brick and limestone. Once the cavities were cleaned, the team went to work on installing new mortar to match the existing. On top of this, our team removed countless feet of old failing sealant in the joints of some of the limestone. Our team accessed the work areas using conventional scaffold and Arial Work Platforms(AWP), however, a majority of the work was done using the Brxton owned fleet of Hydro Mobile Mast Climbing Work Platforms. Every inch of the exterior facade was precisely cleaned using our DOFF steam pressure cleaning system. DOFF cleans stonework and masonry using high temperature steam. Whilst the temperature in the system is high, the pressure on the surface being cleaned is very gentle and the volume of water is low. The surface is therefore not saturated and will be dry within minutes. Carbon deposits and other substances were removed from stone, and brick looking like new. One would never know the campus was built over 100 years ago. 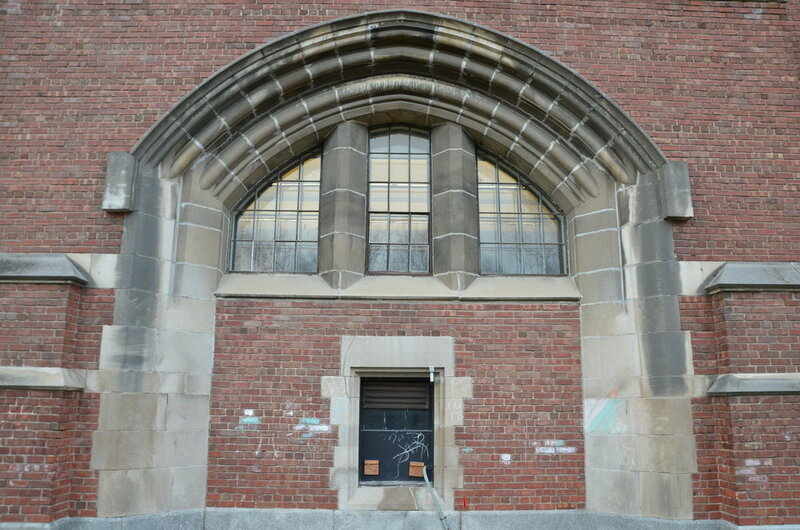 We started by carefully removing existing brick and Limestone from the existing campus building. Through the demolition process and the design, there was a need for new Indiana Limestone to be hand craved to match the profiles at the window jambs and doors at the new Conservatory west entrance. Our team got to work on dimensions and profiling the exiting material and carving the new stone in house. The next step was to clean and restore the original materials to a healthy finish. We then put it all together to create something new, brick by brick, stone by stone. 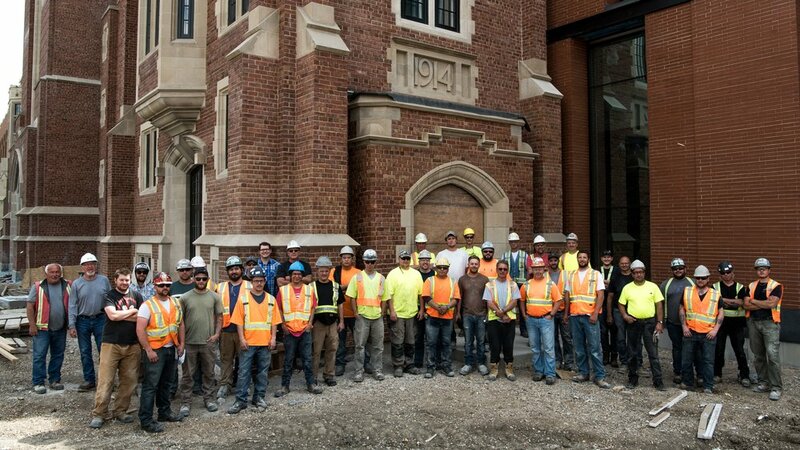 Although, we take tremendous pride in our ability to restore a century old building to the highest of quality standards, the additions to the College Avenue Campus took no less dedication, attention to detail, and precise execution to complete. 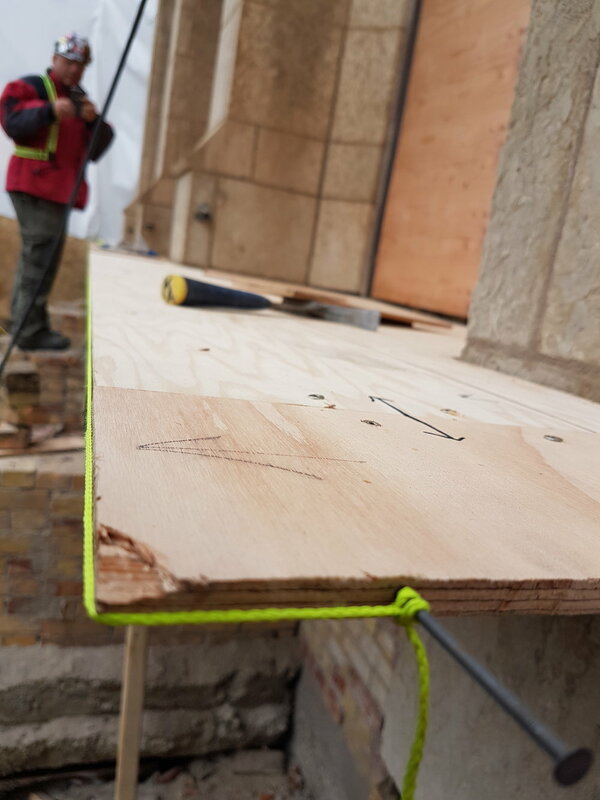 With over 23,000 square feet of brick veneer, including air/vapour barrier and insulation, and over a 1300 lineal feet of sill, base, and coping granite stone, this was no small feat. The architectural design has been referred to as “Modern Gothic”. A reflection of the past entrenched in a contemporary look and feel. Brxton was proud to have been a part of the transformation that will stand for another 100 plus years. Brxton began Working on Darke Hall in the Fall of 2016. We started with a face lift on the north elevation of the building. This included removing the original mortar, full DOFF clean of the Tyndall Stone at the arches, copings, bands and cap stones. After the building was cleaned we installed new Hydraulic Lime Mortar to match the existing. This mortar has auto-genus(self healing) properties and was kept protected for a full 28 day cure. Once the mortar was dealt with, we began the process of replacing the existing stairs with new granite and hand carved (by Brxton expert craftsmen) Tyndall stone side wall copings. After many months of masonry restoration, in conjunction with the work performed on the doors, roof, and windows, the results speak for themselves.